How do you define a "cult car?" There are niche automobiles that many enthusiasts consider to be current or future collectibles, cars like the BMW 2002 and Citroën SM. And then there are niche automobiles that aren't on most enthusiasts' radar...those, like the Volkswagen Corrado, that inspire fervent reverence from a few. The 1990-1994 Corrado was Volkswagen's first true world-class sports car, and with just over 17,000 examples sold in the U.S. during its five-year tenure, it's a brilliant, flawed rarity...and the textbook definition of a cult car classic. Dating back to the 1950s, the Karmann Coachworks of Osnabrück, Germany, was where Volkswagen's most special cars were largely hand-built. The Karmann-constructed Scirocco was VW's first front-wheel-drive sports coupe; two generations of Sciroccos were popular in America, until the final 16-valve models were imported in 1988. It was that same year that Volkswagen debuted an upscale, Karmann-built sports coupe designed to complement the Scirocco, sold overseas through 1992. That new flagship was the Corrado, and it arrived on our shores for the 1990 model year. The Corrado, whose name came from the Spanish word meaning "to run," was similar in mission to its older brother: It was a Golf-based, front-wheel-drive 2+2 hatchback. Although still compact at just under 160 inches long, this car rode on a longer, wider wheelbase, and was 300-plus pounds heavier. Credit for the Corrado's tough, planted stance and Mk I Scirocco-tribute detailing went to the in-house team led by VW design chief Herbert Schäfer. This little bundle of energy was slick as well, its 0.32 Cd besting that of pricier sports cars like the Porsche 944 (0.35). The car's showiest technical gee-whiz feature was its motorized rear spoiler, which reduced rear lift by 64 percent; raising automatically at 75 MPH in Europe and 45 MPH in the U.S., and retracting at 12 MPH, it could also be activated by a dash switch. Less visible but equally technical was the unique, compact G-Lader supercharger that gave the car its "G60" name. This crankshaft/belt-driven blower used intermeshed spirals to push 10 pounds of boost into a strengthened 1,781cc, five-main-bearing, four-cylinder engine. With an 8:1 compression ratio and Digfant engine management controlling multi-point fuel injection, this 1.8-liter made 158hp at 5,600 RPM, 166-lbs ft of torque at 4,000 RPM and a wonderfully muted supercharger whine under load. Mileage was respectable at 21/28, and performance was like no VW before: 0-60 in 7.5 seconds, 140 MPH top speed. Performance aside, as you'd expect from a VW, the Corrado was practical. Its 60-40 split/folding "+2" rear seats could actually hold adults for short trips, and the low lift-over hatchback covered 15.3-cu ft of luggage space. The legible instrumentation and dash ergonomics were shared with the equally new Passat, which also donated its close-ratio five-speed gearbox and independent, track-correcting torsion beam rear suspension with integral trailing arms, coil springs, telescopic shock absorbers and a 20mm anti-roll bar. Shared components familiar to Jetta GLI 16V drivers were four-wheel disc brakes and the MacPherson strut front suspension that combined coil springs, telescopic shocks, elastokinematic wishbone mounts and an 18mm anti-roll bar. Those disc brakes hid behind standard 15 x 6-inch alloy wheels and 195/50VR15 tires. The power-assisted rack and pinion steering offered a 34.4-foot turning circle. Options to pad 1990's $17,900 MSRP included a tilt-and-slide steel sunroof and Teves Mk II ABS, but the long standard features list included A/C, cruise control, power windows/mirrors/locks, six-speaker cassette stereo, trip computer, fog lamps and, unfortunately, the motorized passive front seatbelts that would mark all U.S.-market Corrados. Handsome cross-spoke, flat-face BBS wheels and wider 205/50VR15 tires marked the 1991 Corrado, whose base price was now $18,675. Fahrvergnügen reached a broader audience with the newly optional four-speed automatic transmission, which barely affected the car's speed (7.7 seconds, 135 MPH). Upholstery was sporty red-striped gray velour with vinyl trim, although leather was optional, as was an anti-theft alarm. Big changes took place in mid-1992, when the G60 was replaced with the $21,840 SLC (Sport Luxury Coupe). Visual differences between these models included a taller hood, a four-bar grille, clear front turn signals, a deeper chin spoiler and domed-face BBS cross-spoke wheels held by five lugs, rather than four. Also new were standard ABS and electronic traction control (which could brake a spinning wheel up to 25 MPH), more compliant Koni shocks, a standard alarm and blue-striped full-velour upholstery. The explanation for the red "VR6" badge on the grille lay under the hood; signifying V-Reihenmotor or V-inline engine, this ultra-compact 2,792cc V-6 spaced its two banks of three cylinders only 15 degrees apart, which allowed all to share a single cylinder head, and a V-6 to fit in the space of a transverse inline-four. This seven-main-bearing engine had a 10:1 compression ratio, Motronic engine management and Bosch sequential multi-port EFI. While it made 190hp in Europe, Americans got 178hp at 5,800 RPM and 177-lbs ft of torque at 4,200 RPM, still powerful enough to drop the 0-60 MPH time to roughly 6.4 seconds with the manual or 7.8 with the automatic. This throaty-sounding engine was a bit thirstier, though, achieving 18/25 MPG with the manual, 17/23 with the auto. More changes were in store for 1993, the model year of our $23,470 feature car. A redesigned control arm front suspension that VW called "Plus-Axle" was engineered for negative steering radius and reduced torque steer; it received a 20mm anti-roll bar, which was complemented by a 21mm version in the rear. Although still sized 15 x 6.5 inches, five-spoke Speedline alloys brought a fresh look. The dashboard was freshened with a new red-needle instrument cluster, ancillary voltmeter and oil pressure gauges were set in the center console à la the Audi Coupe quattro, the climate controls were revised and window switches relocated. Dark gray/red or light gray/white cloth upholstery was standard; beige or black leather was optional, as was a trunk-mounted CD changer. The Corrado's price climbed still higher for 1994, its final year in America: $25,150 bought you improved side impact protection, a revised optional automatic transmission, a rear spoiler that activated at 55 MPH and, oddly, lower-spec H-rated tires, which necessitated a 130 MPH electronic speed limiter. The 1993 and '94 Corrado SLCs were honored with Automobile magazine's All-Star awards, and Autocar & Motor magazine wrote, "It's a classic, the VR6, and its talents run so deep that it takes a while for them to sink in completely." The Corrado lasted one more model year elsewhere, including Canada, where it received dual airbags. Among the last examples built were 500 special cars for the British market called the Corrado Storm. The 97,521 Corrados built in total over seven years were a drop in the bucket compared to the almost 800,000 first- and second-generation Sciroccos that Karmann built; Volkswagen had hoped to sell 10,000 Corrados per year in the U.S., but they barely topped half that figure in its best year. This low production figure means that, 20 years on, OEM parts are hard to come by. And, fairly earned or not, Corrados have a bit of a reputation for unreliability; this is attributed to some well-known electrical issues, and a few mechanical ones. We got the full story on G60 and SLC ownership from Corrado enthusiasts Patrick Hespen (two-time G60 owner, formerly of Volkswagen of America) and Anthony Garbis (four-time SLC owner, former staff member of VWvortex.com); learn from their experiences in the focus points, and to read all of their recommendations, visit blog.hemmings.com/?p=98398. So if you've always admired the Corrado and are willing to do what it takes to maintain the car, you'll be rewarded with a unique, truly original sports coupe that can punch well above its weight in performance and panache. Karmann rust-proofed the Corrado very well, and the most common place for rust is on the hatch, around the rear window; the door bottoms should be inspected as well, and Corrado enthusiast Patrick Hespen notes that the front and rear bumper covers can warp slightly. The hood release cable is a known failure point, he says; "Most people attach wire hangers to the release mechanisms, and tuck them behind the grille. If the cable ever snaps--and it will--you simply pull the grille and yank the hanger to release the hood. It's hard to replace, but don't let this dissuade you from buying a car." The car's famous motorized rear spoiler is a trouble area. Fellow enthusiast Anthony Garbis explains, "It's just a power window motor that raises and lowers the spoiler. If your spoiler stops working, most of the time you'll find that its fuse has blown because the motor drew too much amperage and needs a cleaning or lubrication." He also notes that sunroof rails typically break; the glass sunroof panel from a Passat is a nice upgrade when repairing. Additionally, cracked foglamp lenses are typical, since the glass wasn't tempered. Corrados were generally well screwed-together cars, but with age, some of their plastic components become brittle. Many Volkswagens of this era experienced odometer failure, so note that it functions during your test drive. An issue specific to SLC VR6 models is the heater core, which Anthony says experienced an official recall. "People were blowing their heater cores because the VR6 is crammed into a small engine bay and runs hot. The coolant would build up such pressure that the plastic end caps on the heater core would crack, dumping coolant and smoke into the cabin. VW would replace the heater core if it had cracked, which required removing the entire dash; if your core was intact, they'd install a pressure valve inside the upper coolant hose that runs to the heater core." He also notes that the ignition switch commonly fails, and is inexpensive but time-consuming to replace. The motorized shoulder belts aren't typically troublesome, but if they stop working, there are hidden release latches on the B-pillar. Patrick explains that the G60's basic 1.8-liter, 8-valve four-cylinder is stout. "The only common problematic piece is the G-Lader supercharger itself. It's highly unreliable, and is easily susceptible to disintegration if not properly maintained. Watch for smaller-than-stock pulleys used to squeeze more boost by turning the assembly at a faster speed. Know how many miles are on the blower, especially with a smaller pulley. 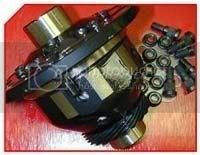 Rebuilt blowers, or those with low miles on a smaller pulley, should be okay." The VR6's main issue is its timing chains. "A lot of people panic and say that any Corrado that is still on the original chains past 100,000 miles is a ticking time bomb," Anthony says. "While the car may be a time bomb, it's likely not the chains that are going to fail first; the issue is that the chain guides crack." Listen for rattling on start-up. "If the chains break, you're buying a new head. It's an involved job, so many people put it off, but if you have to do chains, it's a great time to do a new clutch, slave cylinder, and all sorts of other maintenance items." The Corrado's transmissions, both five-speed manual and four-speed automatic, are well suited to both engine choices. The close-ratio, cable-shifted five-speed was the more common choice, and time has proven that it's a good one. "Aside from a weak first gear synchro, the transmission is stout," Patrick says. "If the owner has avoided spinning the inside tire in turns, they hold up well. The cable shift linkage can be a little stiff, and if the plastic at the base of the shift lever breaks--it gets brittle--you can't shift." "The VR6 transmission is pretty strong. The VR6 got a really beefy clutch, and I'm still on the original one, which hasn't skipped a beat," Anthony says. "I've had a supercharger on my current car for 10,000 miles, and I've had no transmission or clutch issues; in fact, none of my four VR6s have had any transmission or clutch issues." The Corrado's four-wheel disc brakes are effective and easy to find parts for, but be warned that the anti-lock braking system is an early generation, and is known to stop functioning. Pay attention to the emergency brake, as the cable can seize, as can the rear calipers. "The front strut bushings are known to wear quickly," Patrick cautions. "Most owners upgrade to the stronger bushings used on the VR6 models. Aside from this, the stock Corrado suspension doesn't have any real issues. Just beware of a vehicle that has been slammed, or one that uses cheap aftermarket components." An OEM parts upgrade for VR6 models is swapping in 2004 Golf R32 control arm bushings, Anthony points out. He made this modification to his current car, while also replacing that car's ball joints, tie rods, wheel bearings, axles, struts, springs and strut bushings for like-new road-holding performance. * Ads courtesy http://forums.vwvortex.com/forumdisplay ... rrado-Cars. Carlisle, Pennsylvania, resident James Yemzow missed the opportunity to buy a new Corrado in 1994, but his dealer knew of his strong interest, and when he let James know that this VWoA executive car was available in 1995, James bought it on the spot. It's always been a pleasure car, he explains, coming out of the garage on nice weekends and for car shows, and it has less than 27,500 miles from new. Modifications, which seem so popular among the Corrado crowd, aren't in this beauty's future, as James is a purist. "It's just so hard to find one that hasn't been butchered. The younger guys got hold of them and thought, 'okay, what can we change?' That's not for me. They're just so rare. Don't buy one that's ratty, because it's getting almost impossible to buy new OEM parts for them." Even in stock form, the SLC is a treat. "The shifting is great. It handles like it's on rails. And fifth gear...you may think, I'm just cruising in overdrive, but no. It's like another fourth gear--it just winds, it does not quit. You can be doing 80, and you punch it in fifth gear, and it'll put you back. It's got the snot," he laughs. "If you really want one and you find a good, clean one, you're going to pay some money for it," James muses. "I think they're going to go up in value. I know I could sell mine in a heartbeat, although I won't. If you find one, definitely buy it, because you'll enjoy it."